An application for restoration of a dissolved company should be made by a person who was a director or member of the company and within 20 years after the date of the dissolution of the company. is authorized by all members of the Company to make this application. 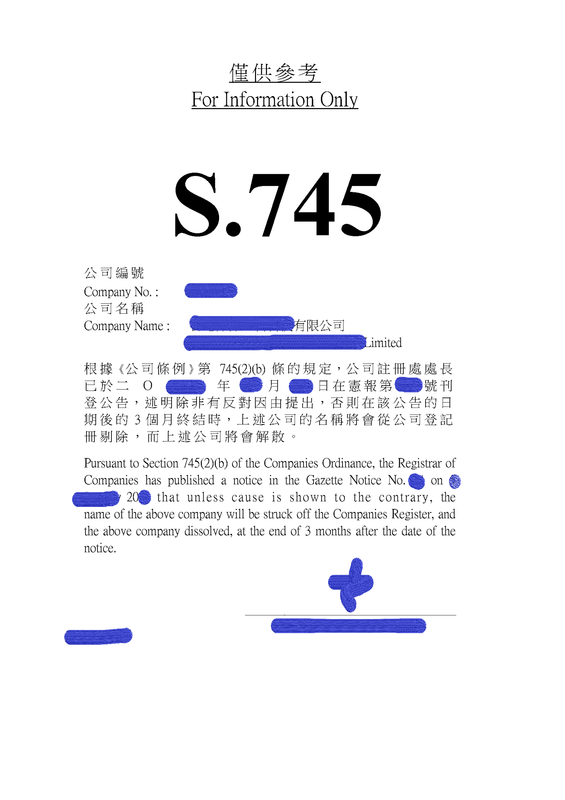 Certified copies of their written authorizations are needed. All the Annual Return, ND2A, NR1 and documents to be submitted will be prepared by us, and The Applicant is required to sign and send the original back to us. 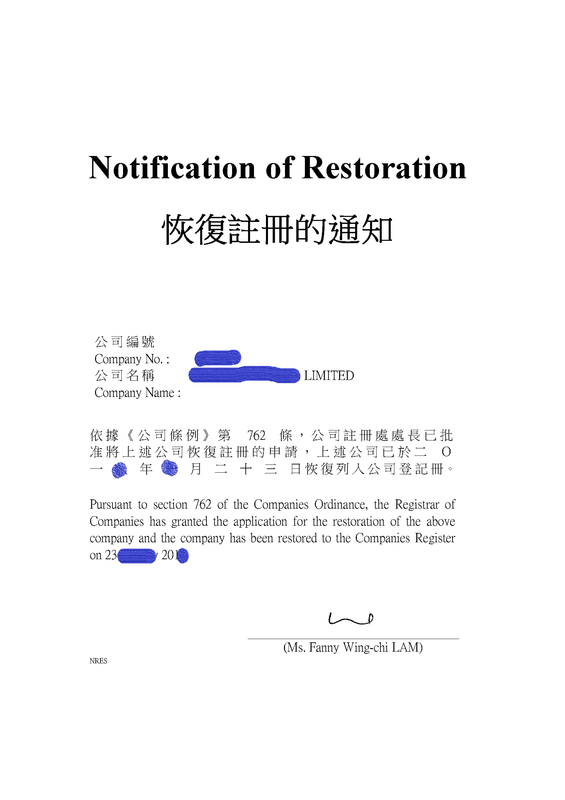 Whether your company can be restored depends by the decision of the CR and your documents. 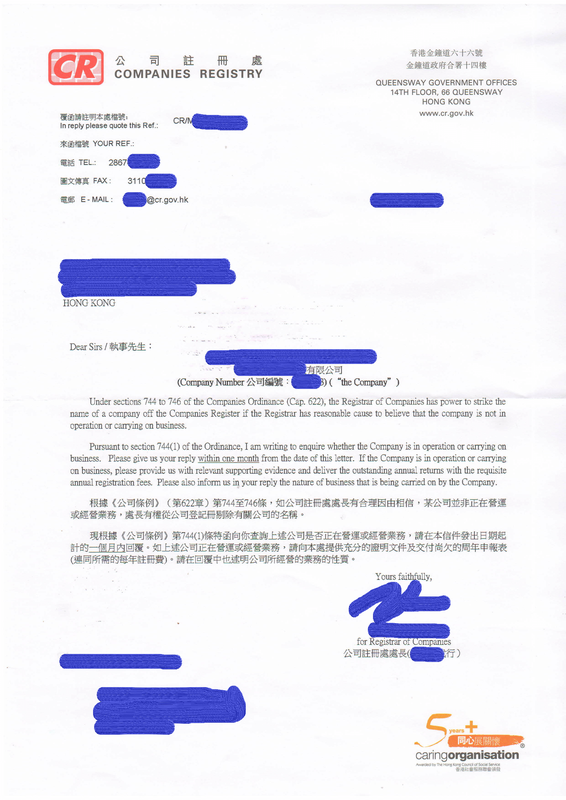 The Registrar may strike off the name of a company from the Companies Register where it appears that the company is not in operation or carrying on business or where, in the case of a company which is being wound up, the returns required to be made by the liquidator have been outstanding for 6 consecutive months and it appears that no liquidator is acting or the company’s affairs are fully wound up. 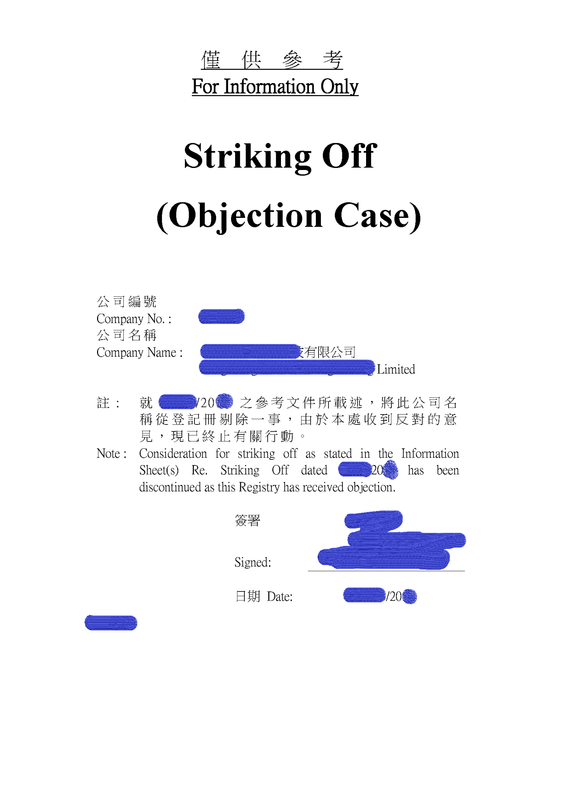 the Court may, on application by the Registrar, strike off name of a company not appropriate to be wound up.